D.C. Streetcar officials are “optimistically cautious” passenger service can start in time for residents to hitch a ride home on New Year’s Eve. Only a final phase of testing stands in the way of passenger service, Thomas Perry, the project’s program manager for engineering and construction, said in an update last night (Monday) at an ANC 6A transportation committee meeting. The final stage of testing rests with the State Safety Oversight Office, in the D.C. Fire and EMS Department, Perry said. In the final testing phase, workers will test signals, continue test driving routes and monitor the timing of the streetcars, Perry explained. Service could start a week to 10 days after final safety approvals are received. “Maybe even sooner,” he said. Not everyone at the meeting was convinced service would start by the end of this month. The nearly decade-long project between Union Station and Langston Golf Course has cost more than $135 million to build. The project has hit a number of speed bumps. Along with confusion over parking and traffic rules along H Street, earlier this spring the D.C. Council voted to gut much of the funding for the project while balancing the city’s 2015 budget, leaving plans for the future build-out of the project in question. Neighbors who attended the meeting were most interested in route schedules and how soon the streetcars will operate. Riders can expect a train every 10 minutes, Perry said. Perry said this section of work has hit positive milestones, including the completion of a temporary maintenance facility and completion of driver and operation training. 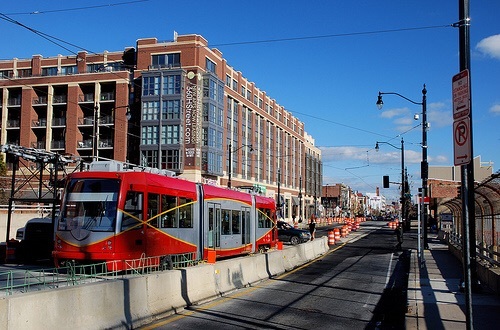 Along with the final testing phase, project officials are in the process of completing an environmental assessment for the section of streetcar tracks planned for Benning Road between Oklahoma Avenue and the Minnesota Avenue Metrorail Station, Perry said.